Actress Rooney Mara is the face of L'Interdit, an intoxicating new floral scent originally created for Givenchy muse Audrey Hepburn. Audrey Hepburn had a close relationship with the late French fashion designer Hubert de Givenchy, trusting him with designing much of her clothing for films (like Funny Face) and real life (like the now-iconic white floral dress she wore to the 1954 Oscars). He also created a custom fragrance exclusively for the actress. According to Givenchy House lore, when de Givenchy asked Hepburn if he could mass produce the scent, she told him "Je vous l’interdis! "— meaning, "I forbid you!" 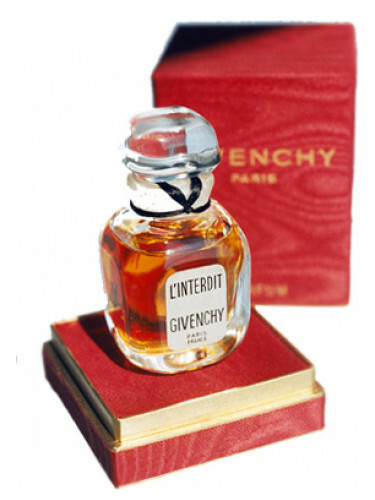 Yet in 1957 the fragrance, cheekily named L'Inderit, hit the market. Now, with the help of master perfumers Dominique Ropion, Anne Flipo and Fanny Bal, the brand is reinventing the fragrance for 2018. Though the bottle is a clear nod to the original, the scent itself has been modernized. Described as a floral white bouquet, top notes of orange blossom, jasmine and tuberose are balanced with earthy vetiver and patchouli. We met with Rooney Mara, the face of the fragrance, in New York to talk about working with the brand, scent memories and more. Read what she had to say, below. “It’s incredibly flattering to hear that, but, no, I don’t see any resemblance. Definitely not going to com­ plain about other people seeing one though! Growing up, my mom used to always play us old movies. I saw Roman Holiday and Breakfast at Tiffany’s when I was actually quite young." "I really love the smell of sunscreen. Not Actinica, the sunscreen I wear everyday, because that’s like special sunscreen for people who don’t want any sun [Laughs]. Like regular sunscreen, the one with the little girl and the dog [Coppertone]. I also love the smell of fresh rain and grass after it has been cut." "My life is so scheduled even when I’m not working that if I had a free day to do nothing, I wouldn’t want to plan anything. I’d just want to see where my mood takes me. I’d probably want to stay in bed a little bit longer with my dogs. I have two. One of them is kind of a mutt, but he’s mostly Brussels Griffon. He’s little, like 10 pounds. My boyfriend’s dog is a big white 70 pound Dogo Argentino. They’re really cute in the morning. They do not want to get out of bed and usually just lay on top of me." A version of this article originally appeared in the October 2018 issue of ELLE Canada.